Thank you so much for your patience, kindness and understanding. You kept us all calm!! Molly stayed under the sofa for another fifteen or so minutes after you left but then made it out to check whether dinner was on its way. I cant believe how quickly she recovered – even taking into account her usual food obsession. She did keep an eye on us for a while from her radiator position but she also came to bed and snuggled up as usual – so I think all has been forgiven. I must say, it was lovely to only be poked with soft paddy paws in my eyes, mouth and scalp this morning. Please think of us next time you have a booking in ******. Maybe Molly will find it easier and easier each time. With kind regards. Thank you again!! Molly usually had to be sedated at the vets when having her nails cut but a home visit was arranged and worked really well. 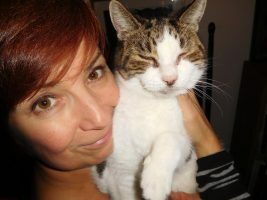 cat nail clipping home service London is only available in areas of Notting Hill and Holland Park unless Anita is grooming in your area and can arrange a visit on the same day. Many cats hate having their paws touched or their nails trimmed because it is their main weapons of defence and a sensitive area. It’s imperative the right approach is made from the start. 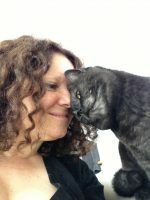 Anita works holistically with cats and works within their challenge lines to get the job done. Cat Nail trims/cat nail clipping or cat nail cuts.. whatever you call the service – we can provide a gentle understanding approach and provide the service in the comfort of your own home. Call info@catnips.co.uk to enquire after our cat nail clipping home service London and we will get back to you asap.